Personal growth means identifying what you would like change and create an action plan to make these changes, and this also helps you to acknowledge areas in your life that need to be changed. It takes time to make changes in behaviors, patterns or attributes that have been long standing, and in order to set goals that you can achieve and make the changes that you want in life, it is necessary to follow a few key steps. Make a list of all your weaknesses and strengths. Your weaknesses can help you identify what you want to change, and a list of strengths can help you to determine how to best overcome the weaknesses using your strengths. When making a goal, make sure it is realistic and that you can achieve it. Setting too high of an expectation can make it difficult to achieve your goals and may lower your motivation. Actions: Look for new jobs on internet. Do this for every goal. Keep a journal, a log, or even make motes on a calendar. Keeping track of successes helps to maintain motivation. Even small successes keep you motivated to continue. Before starting your goals, identify any barriers that may make it challenging to meet your goal. In additin, as you are working through your plan, re-assess if there are any new barriers. For example: If you are trying to exercise 3 days a week, but have found that you have not exercised for 2 weeks, identify what kept you from your plan. Were you sick? Was there an increase in workload the past few weeks? Were you feeling unsuccessful and experienced a lack of motivation? Once you know barriers, then identify what you can do to work through the barriers. In your plan, identify a time when you can re-evaluate how your plan is progressing. If after a month, you evaluate your plan and conclude that you are not achieving your goal, look at what may be occurring to keep you from achieving your goal. 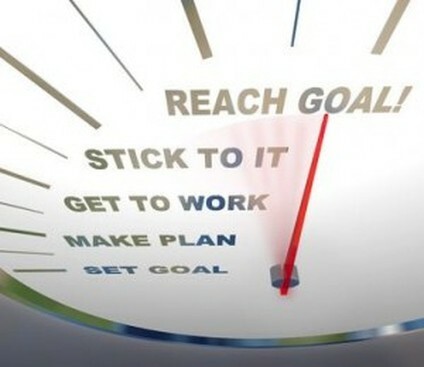 Is your goal set too high? Are there other obstacles of which you need to be aware? Or on the other hand, have you been successful and is it time to identify another goal and plan for change. Personal growth is a continual process. When you achieve one goal, it is important to move on to the next and continue growing. Making a commitment to your personal growth means a life long continuation of identifying goals and following through with your plans. If you are stuck in identifying goals or making plans, there are several self-help websites that offer ideas and even free downloadable worksheets. There are also workbooks and self help books that are available through Amazon or at your local library and professionals that can be of assistance. Life coaches are an excellent resource for helping you to achieve sustained progress on your path to self-development. Life coaches look at your strengths and help you to identify ways to meet your full potential, and they can help you to focus upon your personal life, relationships, and even your career goals. Meanwhile, a professional counselor can also help you to address any mental health issues that may need to be changed. Counselors focus upon working towards the resolution of any mental health issues that may be barriers to your personal success.